I wanted to pass along an email I received. It’s from Ron Crawford who serves with Man in the Mirror, a ministry focused on “helping every church disciple every man”. 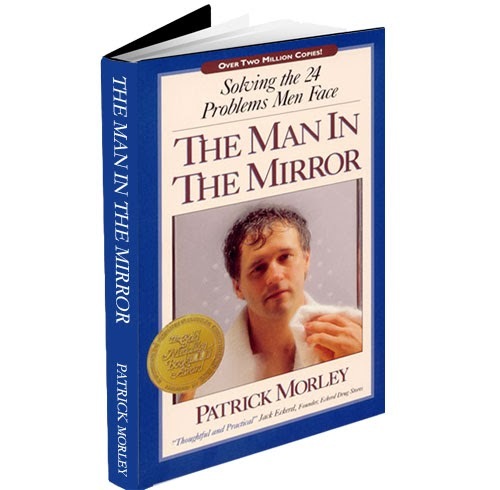 This ministry was started by Patrick Morley, who wrote the book, The Man in the Mirror, in 1989. I found it interesting that in addition to using the software to help manage the fund raising side of ministry, Ron is also using it to build working partnerships with churches, pastors, and men's discipleship leaders! What a privilege that God can use us in Ron’s ministry! Not only that, but we saved him hours and hours of building his own system. Thank you for partnering with us to make this all this possible. Just wanted to say thank you for the great database program. In 1996 I wrote my own Access database for tracking partners and communication as a missionary with Wycliffe Bible Translators. I had looked at TntMPD in the past but my own database still did what I needed it to. It served us well until we left the organization in 2010. Last year I joined Man In The Mirror and felt that I either needed to redesign my database or find something else. I looked at TntMPD again and found that it fit the need much better than my old database. Thank you for your hard work in providing a free tool. I would be willing to pay for this database if necessary. I greatly appreciate that you make it available at no cost to us. The recent upgrade is awesome. I especially appreciate the sync with MailChimp. Lots of other great improvements, like the choices for mailing type. I was doing that with one of the user definable fields. TntMPD does an awesome job with tracking MPD (Ministry Partner Development), but I use it for more than MPD. As an Area Director with MIM I am building working partnerships with churches, pastors, and men's discipleship leaders. I keep all of this information in the database. While it isn't ideally suited for this use, the user definable fields have helped in tracking all the information I need regarding levels of involvement with each church. Thank you for this valuable tool and for your ministry to us.